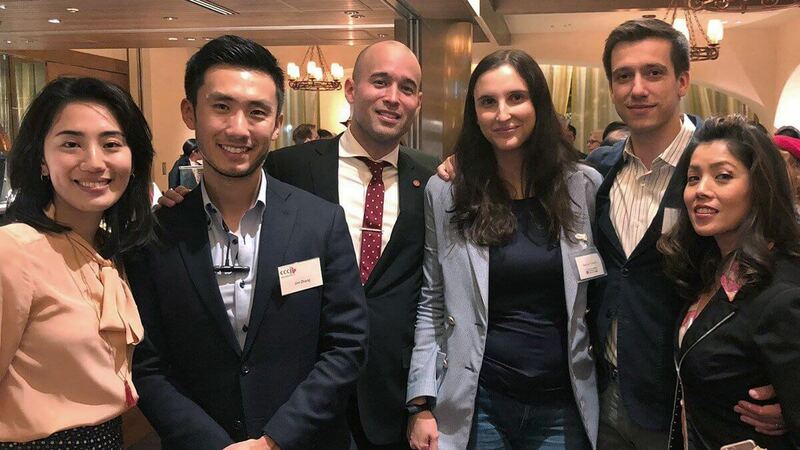 This event provides the opportunity for members and friends of the Canadian Chamber of Commerce in Japan (CCCJ) to meet with alumni from the various active Canadian university alumni associations in Japan. It’s a great chance to catch up with old friends — and make new ones — over beers and delicious pub fare. Meet CCCJ members, get oriented (if you’re a new member), find out more about the work CCCJ committees do and help come up with solutions to the organization’s challenges at this problem-solving event. Drop by and get involved! The Tohoku Internship Project, which is now in its eighth year, supports the communities that were affected by the Great East Japan Earthquake and Tsunami of March 11, 2011. Through the program, high school students are invited to Tokyo for one week to intern at member companies while enjoying homestays with volunteer families. The program has wel­comed more than 100 students since its foundation. Open to all members, the celebratory event marks the conclusion of the students’ internship, and is in honour of them, host families and participating companies. At this exciting event, which is being jointly supported by the American and Swiss chambers of commerce in Japan, guests can sample a wide variety of sakes from brewers around the country. To go along with the sake sampling, a plentiful buffet will be served. This is a perfect opportunity to learn more about the flavours of Japan’s national beverage while networking with members of Tokyo’s business community. Hackathons are an excellent way to meet CCCJ members, find out more about the work CCCJ committees do and help come up with solutions to the organization’s challenges. Come ready to solve problems, get involved and develop a stronger connection to the chamber. For more details or to book events, visit the CCCJ website.